Artificial Intelligence has been the flavor of the season. And it is definitely much more than simply a buzz word with the biggest organizations like Microsoft, Google, building and creating Artificial Intelligence tools. The most recent announcement coming from Salesforce. Salesforce, leading CRM provider, has been an organization which has always put in efforts to stay ahead of the curve. And its announcement of Einstein AI is also a part of that endeavor. So let us explore what Einstein AI is all about. Salesforce’s Einstein AI is not just an artificial intelligence based product but it is an umbrella of technology which houses all the artificial intelligence pieces of the company. This artificial intelligence platform is developed with CRM as it main objective. With the introduction of Einstein AI, Salesforce aims at making AI a part of everyday business life. The company aims to reduce the complexity that is involved in AI tools with Einstein AI and make the Salesforce CRM platform, the world’s smartest CRM. Salesforce’s Einstein AI brings in advanced AI capabilities to the platform of CRM, giving an edge to Salesforce. The Einstien AI is powered by advanced machine learning, deep learning, predictive analytics, natural language processing and smart data discovery. All these make Einstien AI smarter as these models will be automatically customized for each and every customer and with every interaction, it will collect more data, learn and get smarter. Applications like these reply on the quantity and quality of data. So where does the data come from for Salesforce’s AI platform Einstein. 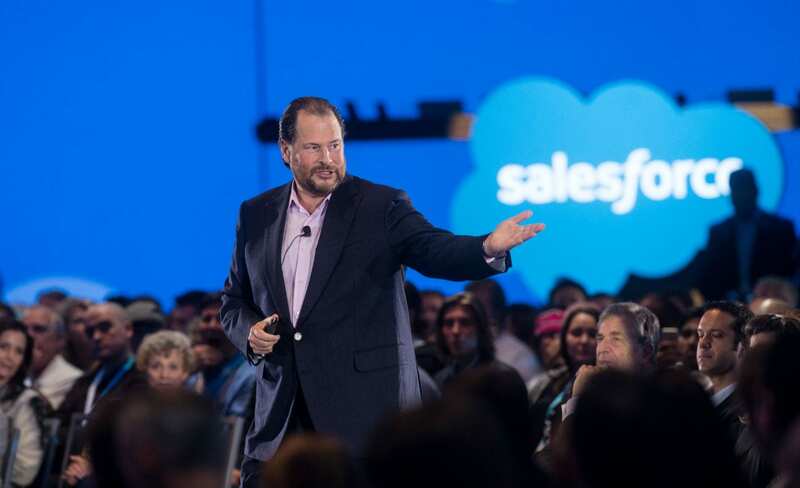 Salesforce does have access to a large body of data of customers, territories and so on. Also with every interaction the data base will keep enhancing, and improvising the AI tools. Einstein AI is a platform with advanced AI capabilities with CRM at its core. These AI tools will help business change the way they manage their customers. Einstein will help businesses discover insights relevant to them, predict future behaviours of customers and proactively recommend the actions that are needed to be taken best in the interest of the business. 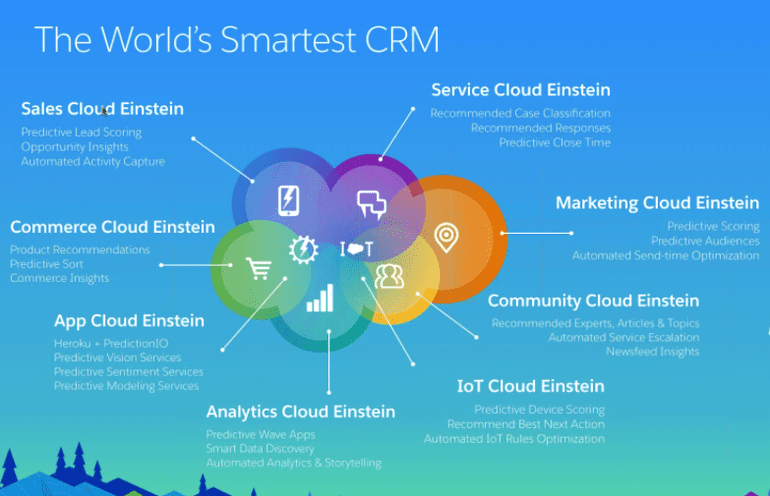 To make Einstein become a reality, Salesforce made quite a few acquisitions in the field of artificial intelligence. The company has formed a team of 175 data scientists to make Einstien AI by leveraging on acquisitions such as MetaMind, PredictionIO and RelateIQ. Also the company plans to introduce a new research group which can contribute towards enhancing the features of Einstien and the overall AI experience. This research group will be headed by Richard Socher, chief data scientist, Salesforce (MetaMind founder). This team will work on research papers and be part of top academic conferences to further their research in areas of computer vision, image processing and natural language processing.